#1 Top FREE Recommendation: CLICK HERE! Today I would like to discuss with you the website called Brit Method. I am going to be completely honest with you in this review. My job is to do the research for you and help you to stay on the right track towards success. At the end of this review, I will open up the comment section for you so that you may share your views. Let me know about your experience with the Brit Method, how did you stumble upon the website? Did you join them? Have you had any success or lost money with using the software? Your feedback will be valuable for others reading this review and may just save someone from wasting precious time and losing money. ALERT! – Be on the look out for the London System Scam! The Brit Method is a Binary Options Trading Website that promises you that you will be making some really big money by signing up to their website. The sales video may deceive you if are a person who easily believes what the people in the video says about their earnings from the system. There are many screenshots of bank account balances which display to you a lot of money. Have you seen the video and wonder to yourself if this is really possible to earn that amount of money in that short period of time? When I first viewed the video, the first question that came to my mind was: is this really possible?…So I started my investigation on the system and I found out some real facts about them which I will get into for you. I have always known that if something sounds too good to be true, then it probably is, and I was right with the suspicion of the site Brit Method. 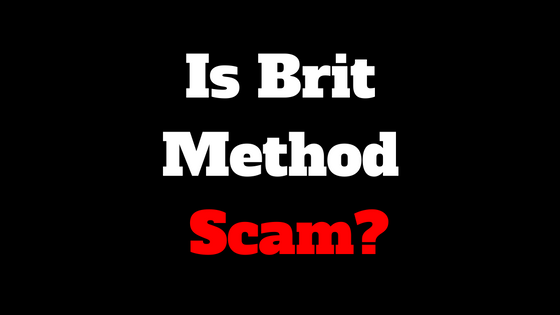 One of the most shocking truth I found out was that the Brit Method was a quadruple scam website. What do I mean by a quadruple scam website? Well, there are 3 other websites (there may be more) which are identical to the Brit Method. 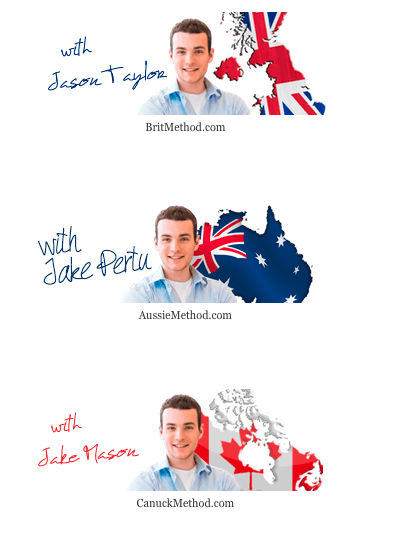 These 3 other websites are known as The Aussie Method, the Canuck Method and the Saffa Method which I have also reviewed on this website. On these websites, you will see the same face of a smiling man with flags of the respective countries behind as background images. This will, of course, give the user the impression that this is legit and will be the right binary options software to sign up to (most of which are not legit). These websites are cleverly made and are geo-located to target the 4 countries that I have mentioned. You will also see images of people plastered on the Brit Method website on social media sites like Facebook and twitter saying how much they are happy about using the software and that they are making a lot of money with it. The tactics used may lead some people to believe that these are real testimonials given by real people, however, you will soon find out that these are all fabricated images. Alert! (UPDATE) – I recently found out about a new SCAM system by the name of “Irish Method”. You can surely guess that it was created by the same scam artists who created all the other so called “Methods”. If you are from Ireland or from anywhere else for that matter and have seen this ugly scam reared its head, I beg of you to stay clear of it. These scam artists are truly the worse that I have seen. Their only intention is to steal as much money as they can from unsuspecting individuals. One thing that I can say for sure is that the stock photo image of the “Methods” claimed creator is getting really annoying now, especially for people like yourself who wants a genuine opportunity to earn money online. The photos that you see are all stock photos that were purchased online from sites such as istockphoto.com, Shutterstock.com, etc. The countdown timer is used as a scarcity tactic to give the impression that you will lose your spot to earn money. The real creators of the Brit Method are unknown. There is no real software nor help involved within the Brit Method. The creators of the Brit Method is merely an affiliate of the broker that they recommended; they will earn a commission when a user uses the recommended broker to trade. These brokers are scam artists who partner with the Brit Method creators. These are some important questions that you should be asking yourself if you are thinking of signing up and investing your money into the Brit Method and their broker. Why should I invest money into a system that promises me that I will make money when there is not real proof that they actually do? Why do I need a middleman to trade online, why don’t I just go directly to a trusted broker which is regulated by the Cftc.gov or ScamWatch.gov.au websites? Why does the Brit Method need actors to testify for them and not real users of the system? The answers to these questions should be obvious. Again, there is no real value in signing up to this Brit Method system whatsoever. Trading in the binary options market is not as easy as the Brit Method portrays it to be. There is not a demo account within the broker software for a user to practice before investing money into, so therefore, anyone without any knowledge on how to trade will most likely lose a lot of money. Have you always wondered how people really earn money online without the hype and lies that you see all the time? Back in 2013/14, I was asking myself that same question. I wondered if there was someplace online that would genuinely teach me how to learn how it all works. I did not want to spend a huge amount of money to learn this. I wanted to test it out for free before I invested any money. I did a lot of research over and over again and what I discovered was that the internet is really saturated with a lot of make money scam programs. This made it so difficult for me to find a legitimate and trusted place. With all the research and reading that I did, I found an online community called Wealthy Affiliate which was a breath of fresh air for me, and eventually changed my financial life. I am now able to earn monthly, and sometimes daily income, by following the simple step-by-step videos and texts tutorials that Kyle and Carson (co-owners) have set up. This affiliate marketing training university is different and quite unique from all the other places that I have ever seen online. They have been on the internet for over 10 years and have been accredited & approved by the BBB. You will not be promised to make a whole ton of money in a matter of days or months using the platform. What you will be learning is how to create your business online in the form of having a website, which will allow you to profit from it for many years to come, (this is a long-term business and not a get rich scheme). The process is quite simple even for a newbie who is looking to start earning money online. The help and support will be there for you right around the clock. I have learned how the internet works and still in training. I have received the best training to allow my websites to rank highly in Google, Yahoo & Bing and other search engines. I consider myself fortunate to have found Wealthy Affiliate and that is why I want you to at least take a look within the community to see what it has to offer to you. That is what wealthy affiliate allows me to do now and I was a total newbie just like you may be now. I am just telling you like it is. NO fluff, NO hype, and NO crap. You WILL be able to do this too in any field that you choose. You can write about your hobbies, your passions and your interest which will not just help people but also allow you to profit from it. People will be able to see what you have to say to them and you could really make your way online as a full-time affiliate marketer. If this sounds like something that you would enjoy doing, I would invite you to read my full review of Wealthy Affiliate as it will explain in detail what this powerful community is all about and what it has to offer to you. It may just change your life as it did for me. And do remember, avoid scams at all costs! 135 Responses to Is Brit Method Scam? You are right Jason GOD Bless you; my experience with brit method stared from a well known website where every law abiding citizen will go and search for job, sadly enough only to see a notorious criminal offer that want to take the little in my pocket. Glad I was able to help out, Tim. Thank you for stopping by to do your due diligence. I’m so happy to see your advice towards other peoples concerns and problems as it has made me rethink my choices about the Brit Method. They tried to make me believe that this is real, but the way that they spoke to made me question if they were potential scammers. I am glad that you actually found the review before you lost any money. Good job doing your research. I have seen an advertisement on Yahoo for the Brit Method, and it makes it look legitimate. If this is such a scam, then why should large web companies like Yahoo be allowed to advertise them as if they are genuine? Surely they are just as guilty as the company itself if people end up getting scammed. Why are we still putting up with scam ads and fake news stories? You are welcome, Tahnesha. It’s always great to help. I have been scammed and scammed and scammed again. I invested with four binary companies and lost all of my investments totalling 290,000GBP. Then I was contacted by someone offering help – a company who specializes in binary recovery. I was scammed by them again. By the end of it all I had lost all of my savings and I was in serious debt. I was desperate for help and that made me vulnerable to recovery scams. My husband is not around anymore and I have an 8 year old son with learning difficulties. The pressure of being a single, working mother with a child who needs so much additional attention and support became overwhelming for me. I also felt too traumatized to trust anyone else and I was very afraid, but I had no choice other than to trust Geminihacks.com They have been incredibly helpful and supportive and also very understanding about all of my fear and concerns they helped recover all of my funds back within a week using unethical means I feel quite, tremendously joyous about the decision. I really hope that others do not have to go through what I did, and I wish that I had realized before things were so bad that I was being scammed. I hope my story might help others to not be fooled the way I was. Sorry to hear about what happened to you, Jeanette. I am sure that your comment will help others reading this not to make the same mistake. All the best, and remember that when something sounds too good to be true, it normally is. Affiliate marketing works if you are looking for a good way to earn online. Check out Wealthy Affiliate to learn more. They show you all you need to know to grow a successful online business even if you are brand new. I have seen the Brit method, Brexit method and the Oxford method all advertised on facebook. All with the same face on them. Hi Jason just wanted to say your website is brilliant and so easier to follow. I am not at all Internet savi but i saw this add on Facebook. Very convincing but remembered when something is too good to be true there has to be a catch. So thanks to guys like you for doing all the research, it makes people like me lives easier especially as at my age i am trying to keep up with technology. I really nearly did fall for this scam. It was a pleasure helping you out. I am so happy that you were able to find my site and now on the path to safety. Wow! So happy to know that you read my review in time. Thank you for sharing your experience with us, Julie and sorry to hear about such a horrible experience. I am sure that this will help a lot of people. You may have noticed that I took out your email address. This was done to protect you and your privacy. Thanks for bringing this to my attention. I will be taking a close look at it. Hi Jason I made a mistake I signed up to the Brit method just to learn a bit more but now I am getting call after call even thou I have said i am not interested. 10 in one afternoon he even said I am going to call every 5 minutes and that I had a big mouth mmmm. Unsubscribe from all their emails and if possible, block their phone number. These scams are dangerous and there are a lot more that you should be aware of. Read my post where I share how to spot these online scams, and if you are looking a good way to profit online make sure to check out my #1 recommended product. Brit method telling me to deposit cash when I have ?? Gary, the Brit Method is not genuine and you are most likely in danger of losing your money. Avoid them at all costs! Hi Jason before I found your review I came across several good reviews and almost sign up after checking first 5 but something was telling me that its impossible. Thanks for this review. I am glad that you dug deep to find my honest review. There are so many scams out there and many people pushing them to the general public. Kudos for doing your research. I logged into brit method yesterday and soon after confirming I got a call from them asking me for my personal details nd my bank detail however they told me if I fail to deposit money then they will fine me £1200. Is it true? I don’t want to deposit any money. In fact, I’m looking forward to see if it is possible for me to delete the account on brit method. Hi, Elaine, thanks for stopping by. Be very aware of those Brit Method Scammers. They will say almost anything to get you to deposit money and they are obviously using scare tactics. In order to get rid of the Brit Method, all you need to do is ignore the emails which they send to you and NEVER log in to their website again. As long as you did not share your credit card details with them you will be safe. If you are looking for a real online business to profit from, I would suggest that you join Wealthy Affiliate as a member and learn the process. Thanks for letting us know about your not so pleasurable experience with those fraudsters. It’s come up on FB, obviously a paid ad and using a pic of Oprah Winfrey. Post is by Fitness with Ease. This is the second time that I have heard about the Brit Method on FB. They are really going all out to reach more and more people. I am glad that you were able to do your due diligence before you were ever a victim of the Brit Method Scam. You’re doing a great thing exposing these scummy scammers! You are welcome, Sam. Glad you found the review helpful. How People In UK Got Suddenly Rich?? Many people’s lives changed lately. Watch the video. It looks so convincing. But the ‘body language’ of the actors in the videos gives it all away. Also there is no contact or ‘solid foudation’ to this Ad; therefore; A SCAM. Yea, the Brit Method is a scam for sure. Glad that you took your time to view the review. Best wishes and thank you for your comment. Trading is a good thing. I lost a lot before I got to where I am today. If you need assistance on how to trade and recover the money you have lost email me get new amazing strategy? Hi, Jason I nearly got caught up in this rubbish! I had a conversation with my mom as I was putting my card details in. I was getting calls b4 I had completed the online registering. I then called my bank and stopped my card b4 they had chance 2 take money that wasn’t theirs lol. I am glad that you didn’t get caught up in the Brit Scam. There are so many binary options scams out there so please be careful. I would suggest that you learn how to really make money online without getting scammed by visiting this link. I wish to see you profiting online soon. Thank you for sharing your experience with us. I am happy that you took the time to do your research today. There are so many of these crooks out there waiting to take innocent people’s money out of their pockets. Feel free to reach out to me with any other comment here and remember to avoid scams at all costs. I just been fooled and signed up following Brits method video. However, just entering my details I got a call. The lady asked me if I had training experience which I don’t have and newbie in this. So she said she will help me to activate my account. So she said open http://www.wmoption.com and I did as well as deposited £250. Then she told me not to press anything a wait for a call from senior trader who will guide to make success. I got a call from this men and he ask me about my income a debts, helping me get business plan. I work 7 days a week and really tired, not saying that I don’t have time for my children. I got loan of £20000 to pay as well as bills. The men said that he will help making passive money in no time and ask wich account I want to make deposit of £2000 to be able to work with top traders. I replied that he did not listen what I said: where I get £2000 if I can’t even pay bills and I am minus £600 on my debit card. Then he said will discuss plan B, so I still awaiting his call. This happens today and I don’t know what to do. I did send them my ID and card details and adress for verification and now worry. I am so stupid. Please help. How I folow brits method scam and ended up with WMoption.com? Look forward for your respond. Sorry to hear about the negative experience you have had with the Brit Method. The Brit Method scam is fraudulent for sure. The creators are hiding behind the scenes and making a lot of money from people who are not paying much attention to online scams. I have done some searches on the WMoption and have not seen anything credible about them. I would suggest that you stay away from these types of systems that promises huge payouts and has a bad reputation. Furthermore, the WMOptions is not a regulated broker. The best thing to do now is to contact your CC company and have them change your card so that you may be safe from the persons behind the scenes of the scam. You will be good once you are able to have this done. You can contact me and let me know the results. I am always on the lookout for these scams and will be reviewing more for the protection of other people. Hi, believe it or not I came across the Brit method while searching for a new job. I was browsing a legit job searching site which then had a sponsor link to another website with more jobs, so in the hope of more job opportunities I clicked on it, I then saw on one of the adverts about making money from home, I knew it sounded to good to be true but thought I would look onto it as I originally started off on a legit website. After looking at it there was to many things wrong for it to be legit: firstly they didn’t even tell you what you were doing or if you had to pay money into it, secondly it was a Brit method but yet showing bank accounts with dollar signs and thirdly the reviews which where written on it were so close together you could tell it was just one person writing them with different names. It’s little things like this you need to watch out for people so becareful. I just done research on it to see what it actually was and that’s how I got here. Thanks for your comment Melissa. I am glad that you were able to do your research before you were ever a victim to any of those online scams. If there is anything that you need help with as it regards to starting a real online business and profiting from it in the most ethical and fulfilling way, you are free to contact me for more details. I do look forward in helping you out. Hi Jason,thanks for doing a great job as a lone vigilanty policing the internet. We should call you Charles Bronson lol. I appreciate your comment, Ian. I only do my best to let people know the truth about online systems and I am going to continue as long I possibly can. Your story is one that I think that many people should see. There are a lot of scammers online who try their endeavor best to connect with people by using the name of family and friends which they have obtained by hacking and many other fraudulent methods. I have seen the wolf of wall street for sure and I know that criminals are out there in abundance. Be careful as you look online for ways to make money. If you do decide to really make money online and is willing to work for yourself, I would really recommend that you sign-up with Wealthy Affiliate. I am a member since 2014 and I now know how to make money online because of this same system. I will help you out if you ever need a hand. MAN YOUR WEALTHY AFFILIATE IS A SCAM TOO I AM A REVEREND GENUINE MAN OF GOD I WILL TELL YOU THE TRUTH THAT WEALTHY AFFILIATE IS A SCAM ALSO: THEY WILL SHUT YOU OUT WHEN IT SUITS THEM AND CUT YOU OFF WHEN YOU PAY THEM? IF YOU DONT PAY WHEN THEY ASK YOU ARE SHUT OUT IMMEDIATELY THERE NO FREE LUNCHES IN THE WORLD MY FATHER USED TO SAY AND THERE IS NOT A MORE TRUE WORD THAT THAT DO NOT EXPECT ANYTHING TO BE FREE IN THIS LIFE. YES I GOT STUNG BY THE BRIT METHOD ALSO, BUT THERE MUST BE SOMETHING GENUINE WHEN IT COMES TO TRADING? HOW DO PEOPLE MAKE MONEY THEN, I TRIED IT BOTH WAY WITH THE SOFTWARE AND WITHOUT THE SOFTWARE AND STILL GOT STUNG? SO WHAT DO YOU DO, I DONT KNOW BUT WHEN I DO I WILL LET YOU KNOW BUT IT IS NOT THE WEALTHY AFFILIATES. REVEREND BRIAN RICHARDS, it appears that you have mistaken Wealthy Affiliate for something else. Have you gone through the training? If you would like to know more about Wealthy Affiliate, I would suggest that you read the full review here so as to clear up any confusion which you may have. People have lost so much in binary options, that is; Traders have failed to withdraw profits made from binary options, failed to use the right strategies when needed, failed to engage with the right broker, not giving their trade a break, also having too many trading accounts which is one of the cause of their loss of funds, deposits of too low or too high amount of funds and most especially, not being able to present the full history of their trade when trying to withdraw their profits. I don’t know why, but they keep sending me emails trying to get me to buy in. I actually thought they were some kind of scam trying to get hold of your bank details or passwords etc. The thing that struck me the most was the poor grammar, spelling and lack of proof reading lol. Also, the general cheapness of the email, which made me look them up, hence seeing your site. ??? Glad you were not another victim of the Brit Method Scam, Kamini. You have done a great job by doing your research. Take care out there now. Hi Jason. I’d like to know what happen if you give in the website of Brithmethod your name, your address and your number. Because, by mistake I gave these information as a stupid. I thought was another think cause I received the link of the website from one of my parent, that obviously has never sent to me. I received calls from Europe but nothing else. Can they have access to my bank account o other thinks? If you have given your name, address, and phone number to the Brit Method, you should not panic. The worst that could happen is that they will either keep sending you promotional emails or sell your email address to some other scam creator who will then send you their offers. Just be careful not to trust emails coming to you from people whom you do not know and trust. If this is the case, contact your credit card fraud department (you will find the number at the back of the credit card you used) and let them know that they need to change your card details ASAP. I hope that you will keep safe online while you look for legit online systems. I saw the brit method and wondered why I couldn’t jump to “how it works”. So I did a search of scams and came across your website. I am so happy that I read your site first before doing anything. Had a few close shaves in the past, that now I do look to see if something is a scam. You did a good job in doing your research Dyan. Glad that I could help you out today with my review. Keep treading with caution online and only invest your time in legitmate programs. All the best to you Dyan. Hello, today I have seen the link with this brit method and said to register to see what is happening. As soon I logged in on site the next step was to fund money to activate the account. I had no info or directions abot this and I sad let’s try with 10£ if is a scam the lost will be almost nothing. Obviously the payment was rejected and I didn’t know why, the reason was that I was supposed to pay at least 250$ equivalent to 180£, this I found out after 30 min when I received a call from so called broker to help me activate the account and trying to tell me how great all this is when I told him that I want to cancel the account and document more about this. Fonally I told him I don’ t have this money and I will wait a bit. He proposed to call me again in another time to help me set up the account because” there are somw buttons which are not active yet and only he can help me”. Obviously I will not fall into this and I will try cancel the account as soon as possible. Through this guy speech was also giving 3 important reasons why I should invest and one of them was that if you place 250$ for example they will also give you half of the amount to invest. Like they are investing money with you and they are also at risk. I also want to say that is my very first time when I get into this sort of thing. Thank you for your site and hope this comment will be helpfull to others. Thank you so much for sharing your experience with us. I am sure that your story will help a lot more people to make a smart decision. All the best to you as you go forward. Be sure to also check out the # 1 recommendation if you are seeking to use the internet to create a lucrative business online. Talk to you soon Alexandra. I received a Brit method email yesterday and the link appeared to have been sent on from my son. When I text him about it he had on idea what I was talking about. How had they got hold of his name and linked it to me. Was just curious after reading ur article… what is the online website business you started…? What do you trade? Thanks for providing the link JD. As you may know, trading is a very risky business and even the best of brokers will not deliver 100% success rates. The point is that AVATRADE (Wikipedia Link) is not a scam. It is a place where you learn to trade and will have the chance to profit from what you learn. The complaints which you see are from people who may not understand how the whole process works and may not follow the training properly. If you are not prepared to lose money, I would not suggest that you not trade at all. That is why my # 1 recommendation will always be to start an online business using your passion and learn how the whole make money online process works. That is my ultimate goal to reach out to people so that they will be able to do this. The first thing that you should do is stay calm and contact your credit card company or bank letting them know to cancel your card as you may be a potential victim to a scam system. Your bank will, of course, be speedy in getting this done for you. It’s unfortunate that they have managed to persuade you to give up all your sensitive information, however, also contact the Cftc.gov website as they deal with fraud systems like the Brit Method which are not regulated. I hope you take swift action and do let me know how things work out for you. Be careful out there with these systems, there are so many frauds on the internet. It took a while, but I eventually got my money back from option.fm. I have learnt a lesson and will never do this again! Thank you for your help and quick response. It’s such a good feeling to know that you got your money back….this is something that most people are not able to say. As you look for opportunities to earn online, do trod with caution as there are tons of scams online, and more and more are being developed each day. Whenever you are interested in a legit opportunity (my #1 recommendation to earn online), I would invite you to learn more by clicking here. If at any time you need some direction, I will be happy to offer my personal help. Thanks for your questions JD. The online website business which is started is this website which you are currently on. A website is a business and you have total control over it – just like with Facebook or any other website you see out there. In addition to this website, I also have others which are live and others which are just an idea at the moment. The system which I use is Wealthy Affiliate. If you have not gotten the chance to learn about them, you should read the review. I do not do live trading….yet, however, I will be trading live (Forex, commodities, stocks, gold etc, etc) in the coming future – I know that the risk is very high and that is why I think that before going live, you must first acquire the training needed to make it a success. I have researched the best online trading platforms and have presented here on this website for my users who wants to learn how to trade. Just so everyone knows my email has been phished and it sends out hundreds of emails which report to be from me, but they are not, they are sending out a link to a website called ‘the brit method’ which leads me to believe you are right- highly likely this is a scam if they are using phishing as a marketing tool. Thanks for bringing this to light Ben. It is a fact that the Brit Method is a dangerous scam and is still reaching thousands of people on a daily basis. I really do hope that more and more people will do a research before they get involved with the criminals who created it. WARNING: It has been discovered that Brit Method uses the dangerous phishing tactic. This can and will cause your sensitive financial information to be in tampered with. Please, if you have entered your email address on the Brit Method website, I would suggest that you change the password for extra protection. Thanks for the warning again Ben. Is it possible that after an immediate call from them my information and data hack or now? Is it safe to use my internet banking or my email? You will be able to use your email and your internet banking as long as you did not give your financial details out. If you notice any suspicious activities in your online banking account or your email, I would suggest that you reach out to your bank and/or change your password for your email address. is jason tyler a scam then because i signed up and in trading with binarybook is that a scam aswell? Thanks for your question Callum. The name Jason Taylor is made up and that is a fact. It appears that the BinaryBook has some mixed review on the net. When comparisons were carried out, they had a low rating. I would avoid anything that is associated with the Brit Method and find a broker that is already established and does truly work for serious online traders. I always recommend Easy-Forex.com or AvaTrade.com mainly because they have been around for so long and continues to work. I have received email frm brit method. I would suspect that you got a spam email from one of the persons promoting the Brit Method Scam. Sometimes other places/websites where you enter your email will sell your email address to other affiliates. With that being said, I don’t think you have to worry too much about them if you did not deposit any money. Wishing you safety and success while you browse the internet space. I am happy that my review was helpful Mike. I also have a little advice for you: DO NOT ever think that you are poor, for we are all born rich. It is all in your mentality. Think BIG and think successful in this life that you have. Do not waste time with scams like the Brit Method. I would suggest that start an online business which by the way is not hard to do. I can help you out to start so contact me if you need any help at all. I wish you success, Mike. Thank you. Hi Jason if you could help me that would be great. You use Kik or whatsapp ? Be easier to talk about it. Mike, I sent you a message to your email address. I edited your email address for your privacy and safety. Talk to you soon. Thank you for visiting and trusting my reviews. You are interested in starting out an online business so the best place that I know of is Wealthy Affiliate. It is what I use to start all my websites and now able to profit. Click on this link to get started. I will be offering my personal help to you if you ever need it. I fear that I also have been taken in..I deposited $250 last week, I made 5 trades based on their ‘algorithmic’ recommendations, 3 of those trades won and 2 lost, so I am now 3 US dollars in profit. After reading all the above I can see where this is heading, so am not willing to take any more chances with this, as i realise I just don’t know enough about trading, although it has definitely piqued my interest! I feel so stupid, and keep thinking of the phrase ‘a fool and his money are soon parted’, I guess I just decided to take a gamble with $250 Sd as I so wanted to find something that would help me make extra money much needed! So I have decided to ask to withdraw my $253 dollars tomorrow, however i notice the small print says I must do the same volume in trade before I withdraw, that would mean I need to risk another 125..i thin we all know by now that that 125 ($25 per trade) will lose, and then they will probably say that 125 is too low an amount to withdraw or something….I will keep you posted how it goes, will be ringing them tomorrow! Thanks for sharing your experience with the Brit Method System Anne. You are really making the right decision now and I look forward to hearing how everything works out. After reading your helpful review I did a little bit of investigating myself. I received the email invite from The Brit Method yesterday and being a 24 year old, having a 9 month old at home, earning a basic wage and having an expenditure higher than my income the Brit Method sounded perfect, but i was going to be dive in without digging first. On the invite from the Brit Method, there is in a option to ‘Find Out More’. If you are using a smartphone and you click this option, you are passed through 2 websites before you actually get to theirs. You don’t actually see any content for these 2 websites however i noticed the web address change at the top. The 2 sites are cardmultimdeia.com and kiterdevoirs.com. If you were to go directly to cardmultimedia.com it actually gives you the option to unsubscribe to all emails. Kiterdevoirs.com is a 4 month old domain, situated in Montreal, Canada. The domain is linked to the IP address 67.205.85.136 which is provided by the hosting company iWeb Technologies Inc. It was registered by C/O Private Ranger Limited , who can be reached at 8736661 @ prtivateranger.com. The site is owned by Registrant of kiterdevoirs.com. Registration details show that it was registered on 02 Feb 2016 through instra corporation pty, ltd. and will expire on 02 Feb 2017. The site returns a status code of 404. Interestingly enough the word Kite is used in North America to describe to write or use a fraudulent cheque. Thought it’d be of some interest to you and other readers like myself. You did great with your own investigations. It is people like you who I need to join me in stopping scams online which are similar to the Brit Method. Please contact me within Wealthy Affiliate (bootcamp) where I will show you how to build a website – investigating fraudulent systems and building a business. I think that you will like it very much, especially when you are willing to put in the “leg work” by doing your own independent investigation even after you have read my review. You will also be able to profit from your work while you are genuinely helping out other people in the world. PS: You can contact me privately by leaving a message at the end of the page in my “contact me” form. they called me immediately after signing up with them. Do not beat up yourself too much about what happened to you. The best thing that I would recommend for you to do is to be calm and contact the broker asking them to close your account. Also, contact your credit card company and let them know what happened (the contact number is usually on the back of the card you used to deposit funds). There is no telling what these people will do with your identity, they could use the information you provided to do unscrupulous acts. I think you should contact the Cftc.gov website that I mentioned in the post to report them, they usually get to the bottom of situations like this. Use this link to file a complaint directly. The authorities are out there looking for these cyber criminals, so it is just a matter of time for them to be found and justice served. I also want to thank you for sharing your experience with us here. Your comment may save others from getting sucked into the Brit Method Scam. I hope I have helped you out today. Let me know the results after you take action. hi, please may if you do get back your money, and what is the procedure that u went through? It makes me laugh surely all these people who have been scammed in their post above should be receiving the £10,000 so it is a fraud without out a doubt. I just found this Brit Method and I think I got a lucky escape! My first thought is it sounds too good to be true. There is a list showing you various things and people with vast amounts etc. But the button that says how it works – doesn’t work -red flag first one. Then I tried to find contact us nothing apart from their boast of 24/7 contact on their helpline, in other words, you can speak to them via text talk – another red flag. Now despite thinking this is too good to be true I filled in my details oh yes should say only 20 can be “‘lucky” to join. But when I got to create an account it did nothing so I couldn’t open an account or speak to someone. I only wanted to do it to raise money for a charity close to my heart. I am profoundly deaf but lip read well. I am the founder of a dog club and we fundraise for Hearing Dogs For Deaf people. We have FB page live page and static Twitter page and Instagram along with this we have a website which is getting a lot of hits and our live FB page is hot it’s constantly in use and I wanted to find a way to make money through this. We have adverts and that gives us pennies per month but Jason or anyone else know how I can utilise these sites to make more money for Hearing Dogs we take no money I have a just giving page too. So if anyone can advise I would be so grateful. Each dog through its working lifetime cost £45,000 no I haven’t added too many noughts. The charity has no funding it’s all raised by people like myself. So if you can advise anything to increase income I would be grateful. Jason finally one thing please could you add subtitles to your video or any other talking parts you add? it’s very hard trying to work it out, I don’t know if it’s possible but would be so helpful to a deaf person like me. Thank you for such great advice and all the other people’s comments. I’m still not sure which is safest if any mostly because no subtitles. I got a chance to check out your website and I do like it very much. I like the fact that you are helping other deaf people to get the help that they need. Yea, there are many red flags with the Brit Method system and I am glad that this review have reassured your suspision not to get involved with it. You mentioned subtitles to be included within the video. I would suggest that you watch the video directly on the youtube website and select the “CC” option that you will find in the setting to be able to read the captions. As it relates to monetizing your website; I would suggest that you sign up to Amazon or Ebay as an affilaite and put your links and banners on appropriate pages. You will be able to earn profits from the traffic that you are currently receiving. If you would like to get some training on how to implement all that I mention, I would higly suggest that you take a look at the # 1 affilaite marketing training platform by clicking here. If you need any help with anything else, I will be more than happy to help you out. Talk to you soon! Thank you for sorting this out for me, it did sound too good to be true, I’m glad I looked it up before giving them any of my information! Glad that my review helped you out Helen. I do hope many will follow you and do a research before depositing funds into any system. Thank you for visiting my website to find the correct information. I saw the Brit Method and opened an account with Ivory Option and just put £250 in it a week ago. I’ve been reluctant to make any kind of big investment because I’ve wanted to understand it a bit more. I spoke to a broker to possibly follow earlier in the week calling from Ivory Options but didn’t go through with any further money. I shouldn’t have given any money at all. I don’t know where it’s gone, but my account money is pretty much gone, and Ivory Option is so hard to contact. I feel like an idiot. Ivory Option is a scam broker, just do a google search for “is ivory option a scam” and you will be sure to see the negative reviews on them. I would suggest that you immediately contact your credit card fraud department by dialing the number at the back of the CC used to deposit funds and notify them that you’ve been scammed and you are interested in disputing the transaction immediately. In many cases they will help, it might take a couple of days or a few weeks but if you fight back you will win your money. Let me know how it goes Joe and if I can help you in any other way. It is a true pleasure to help you out with this information. Sorry to hear about you and your wife’s situation. I sent some useful information to your email address that I am confident will help you to move forward and create an online business that you can be proud of. Let me know if you received the information. Talk to you very soon Fadi. I put my email address and phone number in and received a call immediately. There was no way I was going to be providing any of my card details so I requested when I answered the phone that they remove my email address and number from their account. All I want to know is (and hope I don’t sound silly) is whether they will do anything with my email address/number or if its only my financial details they are interested in in which case I have nothing to worry about because there’s no way I would ever give them money. The only reason I actually even entered my name, email and number was because they assure you in the video they will not ask for your details. Thanks for your comment. Most times scams like the Brit Method will sell or rent your email address. This will allow other scammers to send you more offers. You really do not have anything to worry about too much; just delete these offers or mark them off as spam, this way you will not receive any emails from the same sender. As long as you did not enter your financial information: you should be safe. They are just mostly after your money. I often enter my email address into opt-in forms similar to the Brit Method so that I may be able to investigate them thoroughly and expose them on the internet. Thanks for your comment and thanks for doing your research. Thank you so much for such a swift reply. That’s really put my mind at ease, I must admit I have been beating myself up these past 48 hours over just putting my email and number in and having quite a panic. I tend to be quite an anxious person when it comes to Internet security as I don’t really have the most in-depth knowledge and understanding and so normally am extremely vigilant but for some reason this one prompted me to enter my email. Certainly encouraged by the fact you have no issue putting your email into opt-in forms similar to this one! I certainly wouldn’t give them my financial details, I appreciate what you’re doing here in attempting to expose them. Have you any advice on what I should do about phone calls I receive from the companies they have clearly passed my details to? I tend to just ignore any numbers I do not recognise? Thanks again, you’ve truly helped me a great deal with this reassurance. It is a pleasure to help out within this internet space. I also do my endeavor best to reply to every single comment that comes through on my website as long as it is not a spam comment. As it relates to the phone calls that you may receive: you can politely and firmly tell them not to call you anymore. Let them also know that you know that their system is a scam and that you will report them to the police or relevant authorities. This will surely prevent them from calling you again. I think you should be safe from these crooks from now on. Also, Molly, If you are seriously interested in creating some income from your home, I think you should get some training that will allow you to do so. I do recommend that you take a look at Wealthy Affiliate – this is where I got started online and learned how to use the internet to build my websites which consistently provides a decent income for me and my family. It is rated # 1 in my book. Do let me know if you have any other questions. Feel free to contact me privately if you prefer to do so. Sorry to comment again Jason, I just had a thought and wanted to query it with you. Scams like these, in just entering email and phone number and merely clicking the link they send you via email to ‘access the account’ and be requested to deposit money – can they infect my devices with any viruses? I’ve been assured they can’t but you seem like you really know your stuff when it comes to internet safety so I thought no harm in asking! And in reading Kelly’s comment above, the identity issue would only arise if I gave them further info other than email and number presumably? Thanks again for your help. Much, much appreciated. I am here to help, so never feel “sorry” to leave a comment. There are some websites that use software that is able to infect your computer devices with malware and viruses. However, the Brit Method website; to my knowledge does not use these software. Their ultimate goal is to get your money and nothing else. To be on the safe side, always have an anti-virus software installed on your device for added protection. Some well-known virus protection software are the Kaspersky and the Norton anti-virus software protection for PCs. If you are using a Macbook, you will be automatically protected. Thanks my dear Friend! you are doing great job making people aware, being an Indian we normally don’t trust all these nonsense schemes however when that Video directly started I got curious and started researching and landed to your page. It is so disappointing to read the people’s comments about how much they already lost. Thank you for leaving a comment Sandip. I am happy to know that you did your research on the Brit Method Scam. I will be looking out for more schemes like this to help many others. Looking forward to seeing you again, and remember to avoid scams at all costs! But unfortunately to him today I have no $ so I couldn’t sign up anyway.so I told him I have no $ right now so he said to give me my credit card # to see if it will go through anyway, so I told him that I don’t have it on me, an he said as soon as you get the $ send him a message an he will help me. Saying to myself that I stumbled across this Brit sight for a reason an especially how am down an out of cash. So I decided to do some research online because it was sounding to good to be true an because it had happened to me and a friend of mine already with the flexkom international scam. Then I saw your site so thanks for reminding me to think before you act an do your own research so them can’t get anything $ from me.OK thanks again it was useful. This is where the video redirects to, you can see all the variations he’s going through and clearly under a different name. Seemingly too good to be true probably means it is is definitely how I view all these things. Thank you Becky for pointing out that youtube video redirect. Glad to know that you are out doing your research on the Brit Method. I am just concerned about the 90% of people who do not take their time to do what you are doing before they invest hundreds and thousands of dollars into the Brit Method Scammers accounts. All the best to you and thank you for stopping by. HI I JUST MADE REGISTRATION SATURDAY AND I DIDN’T READ EVERYTHING , BUT I HAD 3 PHONE CALLS SUNDAY. THEY JUST TRY TO PUSH ME TO TRANSFER THE MONEY / 250 MINIMUM / TO START TO MAKE PROFIT. THE GIRL SAID TO ME THAT I CAN GET 3000-5000 POUNDS FOR THE FIRST MONTH, BUT I HAVE TO USE BROKER. I REALLY THING THAT THIS IS SCAM. NO ONE WILL GIVE YOU 3000-5000 POUNDS FOR NOTHING. THE NEXT THING THEY WILL SAY IS YOU CANT LOSE YOUR MONEY ???????? THIS IS BETTING YOU CAN LOSE EVERYTHING. JUST THING BEFORE YOU GO ????? Glad that you found this review before potentially losing up to 5000£. Stay away from the Brit Method and do not answer their phone calls. Thank you for your comment and if you ever need any help, please let me know. How do i stop the ads for this constantly popping up? Luckily I didn’t deposit any money as I wanted to research this all out first to find out if scam or not..
Good job in blocking their phone number Ali. I am sure they will be calling the number again hoping that you answer so that they can persuade you to deposit money. I am glad you found this review on time, and that I was able to help you save some money. I found this when surfing the internet and was suspicious because I never saw the creator, and didn’t trust him. If that was real, I wouldn’t buy it, because I wouldn’t have earn’t it. I don’t trust people who repeat that it is free. As I always say Rhiannon, when something sounds too good to be true, it normally is. Never be too eager to join any money making opportunity online. Always do your full research before you spend a dime. I have been doing forex trading since 2008 and I can tell you that it is not very easy to make money. You will lose big time and will also win if you stay within the rules. Trading online requires 80% psychology and 20% technical know- how. When I came across Brit method what I did is first to google it and learn what they do and I am happy you are here to lend a helping hand. So many people are just desperate to make money and make it quick. This is number 1 selling tool for scammers- your impatience and desperation. The Internet has created so much illusions for so many people. Success comes through hard/smart work and patience whiling focusing on your goals. Thanks for contributing to this blog post and sharing your experience. Trading truly requires psychology and the know how. Many people do get caught in all the schemes that promises great success with just the push of a button. If it was this easy everyone would be doing it and getting excellent results. I appreciate you taking your time to help others to understand that it will take a lot of time to achieve success online. I am afraid I am one of those that got sucked in. I have lost about £650 in a month. The main fiddle is that after going into Brit Method you get an immediate phone call picking up your contact and then explaining that “you have just opened an acoount and we want to get earning you money right away” what a laugh that was. Immediately they started talking in terms of thousands of pounds. When I explained that I only wanted to gamble £250 they at once cooled down in their enthusiasm. I noted that on the “All about Binory trading” it was suggested that you should have more than one broker. I like an idiot tried to contact Brit Method again it was returned on the Email as not known. I got another phone call from another broker who assured me that he was Jason Taylor’s (the web site speaker) boss. And yes you were right I got lumbered with another account. Are all these London brokers crooks or have I got hold of the wrong ones. I should be happen to talk again preferably on the phone as my eye sight is going and I shall be unable to see. Any way to date that’s my story I hope it will help others. Thank you for sharing your story with us Peter and so sorry for your losses, but there is still hope for you online. I am glad that you mentioned the scam phone calls that these people also make to try to get more money out of people’s pockets. And this idea about having more than one broker is quite insane and ridiculous. Serious traders know that they should stick with a trusted broker that has been around for a long time and not a bunch of crook brokers who are virtually unknown. Once again, I appreciate you sharing your story and I hope others will learn from this. I will be in touch Peter. Scam scam..scam..!!! my mom always told me if its too good to be true then it probably is..!!! lies and deception..
Glad I could help you today Rajin. Your mom was certainly right; wise lady indeed. This is truly a scam! I almost lost my money. Thank you so much. Glad that I could help you out. First the concept of binary option trading is a scam you will never win as the brokers will not allow you to do it, on some stage they will collect your deposits! On the other hand the method mentioned above is not a scam it is called geo-location targeting. The method as we did not try it (all of us above) can not be called a scam as is a legit way to trade, keeping in mind that you will not make money as the brokers and the seller of the method will be the winners. Anyone with a keen sense of curiously will know for sure that the method above is truly a SCAM which should not be recommended for people who are looking for a real opportunity to earn online. The Brit Method have done reputable damage to the trading industry, especially for those who are endorsing legitimate options trading softwares. I find and review scams to save people when they do their research online. I then help these same individuals to get a chance to earn a decent living online. No scams are ever promoted here on HowToStaySafeOnTheNet.com. I hope I have clarified for you. It’s good to have someone watching your back and uncovering this type of scam. I am happy that I found Wealthy Affiliate to help me learn what is needed to start earning an income online. Since I have just started I currently look upon my website as my ‘online lab’ where I can test out some of the ideas presented during the training. In this manner I hope to confirm what I learn while I also get a hang of the ‘mechanics’ of the net. I am prepared that this will take some time, but I am enjoying the journey. Thank you Rolf. You are certainly on a journey to online success. Let me know if you need any assistance with your online business. Hi Jason I haven’t come across the Brit Method but I am going to be looking in to Binary trading as another form of making money online so I’ll be sure to avoid this! Is there a Binary trading tool or training guide that you would recommend? Easy-Forex.com AvaTrade.com are the 2 places that I recommend for anyone who wants to learn Binary Options Trading online. They have a very good reputation worldwide. Thanks for stopping by Nate. One thing I’ve noticed with alot of internet scams is how lazy they are. I’ve seen this a few times before where they use exactly the same website layout, name and everything else. It’s so blindingly obvious too! Nice one for pointing this out to people who may not have noticed. You will certainly prevent a good few people from ending up victims of these dirty scammers!